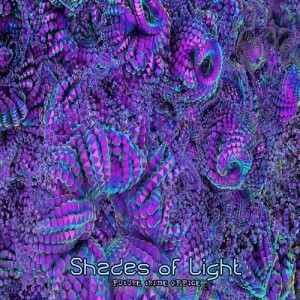 Future Tribe Office presents their second compilation, Shades Of Light. Compiled by DJ Dolphin and Kontrast, it features a tasty selection of fresh groovy dance floor tools from Greece, Hungary, and the United Kingdom. Put on your sunglasses and let these full-on psytrance movers and shakers send you on a pleasant cosmic trip into inner senses. Mastered by DrKokobloko @ Kokobloko Studio, Athens. Artwork by Kontrast Media House. MP3 Download | FLAC Download | WAV Download · Download count: 9,060. Have downloaded flac file two separate times. Max rain – heavenly particles is corrupt and has a bit of another track in it starting at 1:29. Sorry about that, I’ll take a listen and fix it as soon as possible. It may be a few days though, I’m in between good internet connections right now. Will update this post when the packages are redone. #pls del. my post above, there is a bug, my fail, sry! * it is cd quality wave file, not zipped and not modified in dynamics. further the mensioned bug on track 5 is fixed. WooHoo… is fixed… going for the FLAC this time! This compilation exactly lives up to the description!! cheers!! GodSpeed to you guys -n Gracias’ Basilisk. yeah there’s a problem in track 5. please fix this, it’s a great song! Download a new copy if you hear a bug :) this should be okay now!